With the help of Multimedia SMS feature, you can send any file below 15MB of size. 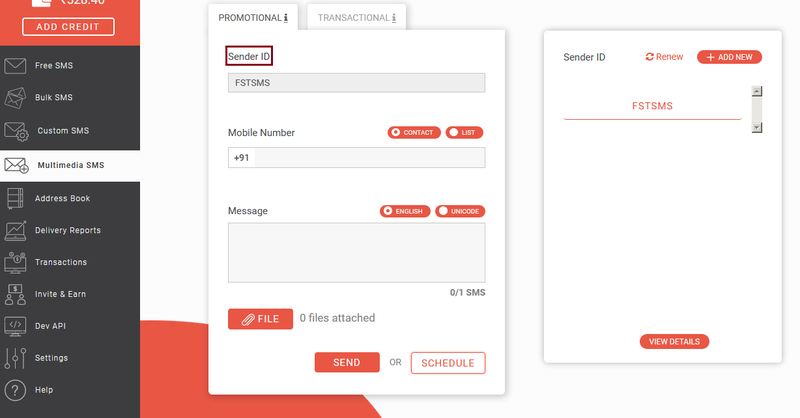 This feature allows you to send an attachment with the SMS like jpg, mp3, zip, pdf, csv, etc. 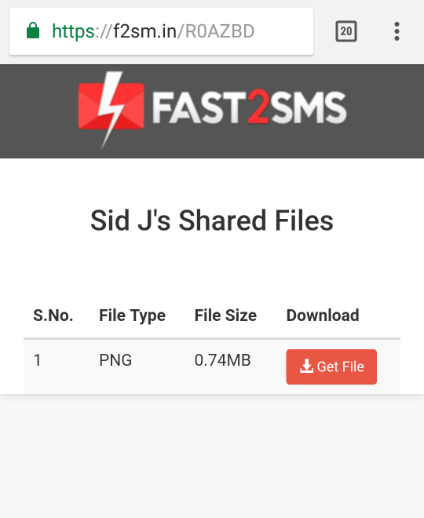 The user has to upload the file and when the attached file gets loaded in Fast2SMS server, then the system provides a dynamic short link (which link to that uploaded file). The good thing about that short link is that for each SMS receiver, URL will be different. Like for one receiver, short link will be http://f2sm.in/347ae and for 2nd receiver short link will be http://f2sm.in/157wd but both short link will point to the same uploaded file. Our bulk SMS service is the most affordable and user-friendly service, so try it once and explore a variety of new features. How to use Multimedia SMS? After selecting the Multimedia SMS option from the left side of the panel, you need to select the route. Promotional – In this route promotional SMS are sent to non DND numbers within the time frame of 9 AM to 9 PM only. If you are sending SMS after 9 PM, then automatically the SMS is scheduled for the next day morning 9 AM. Quick Transactional – Multimedia SMS feature will not work in Quick Transactional route. Click here to read more about it. Note : Multimedia SMS feature will work only in Promotional and Transactional route. 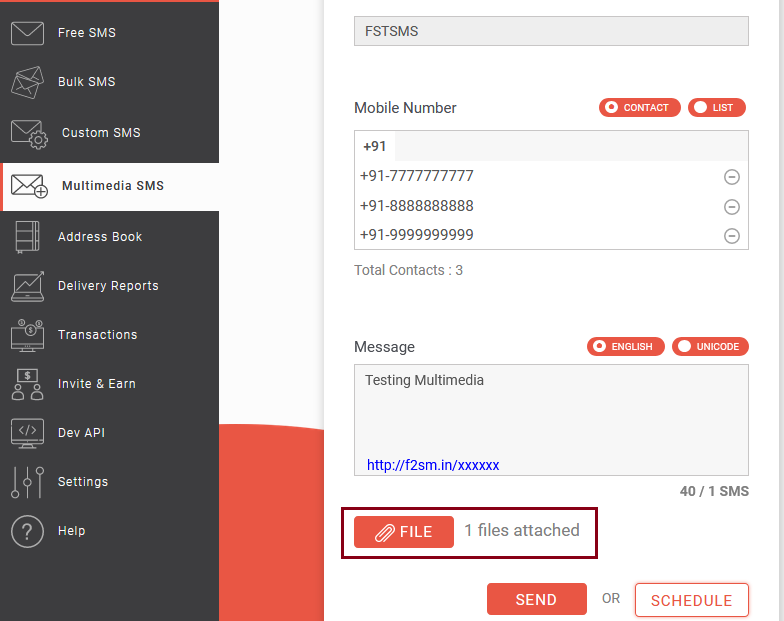 You can use default sender ID of Fast2SMS that is FSTSMS or create your own Sender ID. Click on Add New button on the right side to create your own sender ID. If you want to renew your Sender ID click on Renew option next to Add New button. Click here to know more in detail about Sender ID. Once you click on the ADD NEW button, the following screen will show up. Click on the I AGREE TERMS & CONDITIONS button to proceed further with creating sender ID. You can select the CONTACT button to enter one mobile number. If you wish to add more mobile numbers then select the LIST button. At the right side of the screen, there are more options given for adding contacts like Contact, Group, QR Group. There is an Address Book button above all these 3 options. When you click on the Address Book button, you will find many ways to add contacts like Upload CSV, Add contacts, Add multiple contacts, you can even create a group of your contacts. If you want to know the complete details of adding contacts click here. We have to write the text in the message box and then select the red colored File button to upload the attachment. Note : You can upload per file of 15 MB. You can upload as many files you want but it should not cross the limit of 100 MB per day. Maximum limit to upload files per day is 100 MB. The link attached with the SMS has a validity period of 3 days. After 3 days, the link will expire. By default English tab is selected, if you wish to send message in language other than English, select the Unicode tab. Once you have written the message in roman, press space. Automatically it will get converted in the language you wish to send the SMS. When you click on the File button, a window will pop up as shown below. 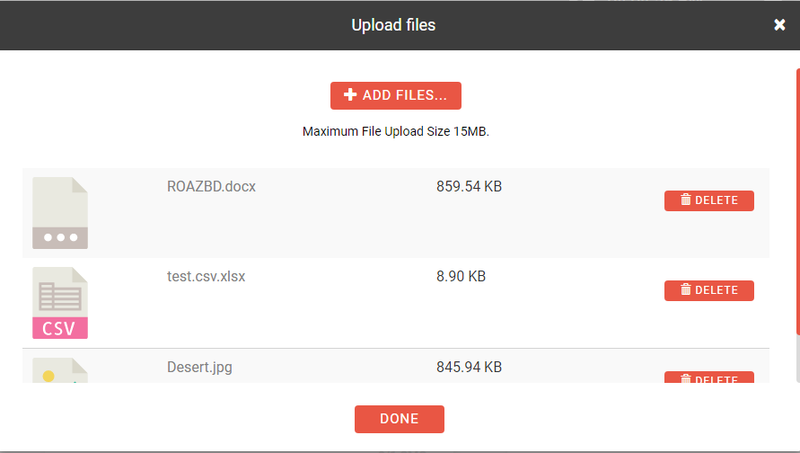 You can click on Add Files option to select Files to upload. You can even drag and drop your files. Once it is completed press done. Select the files from your system. Once you have selected all the files, click Done. In this example we have selected 3 files. One is word document, second is the CSV file and last is jpg image. The attached link will be shown in the message below the text as shown below. Note : Apart from the characters of the text, attached file characters will also be counted in the SMS count. Total will be taken from the text written in the message box and attachment. So in the above image Testing Multimedia will be counted as 18 characters(space between testing and multimedia is also included) and the attachment http://f2sm.in/xxxxxx will be counted as 22 characters. These 22 characters will remain the same for every SMS. So total characters counted will be 18+22= 40 characters. 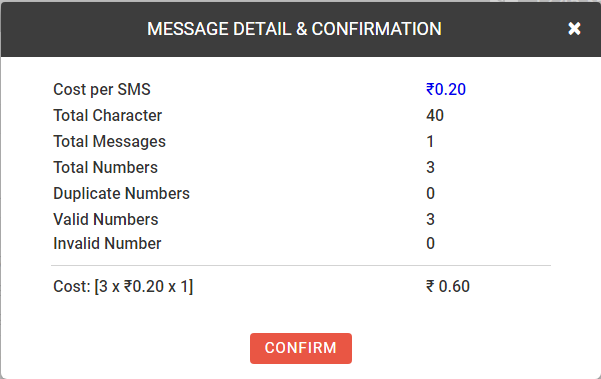 And 40 characters is counted as 1 SMS so 1 SMS rates will be applicable. If you have pressed Send, a confirm dialog box will appear on your screen like the one below. Click on Confirm to send the SMS. There is a character limit for each SMS. It is different for Unicode and English SMS. Note – Your SMS can only include 1530 characters in total, not more than that. Below is a list of how many characters will be counted as 1 SMS, 2 SMS, 3 SMS and so on. It describes about the character limit of SMS in English language. 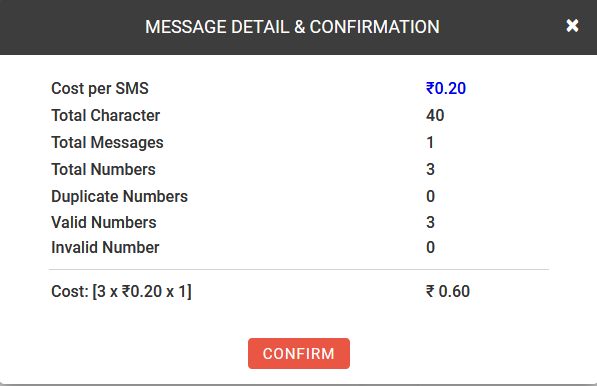 Note – Amount will be calculated based on the SMS count. Suppose there are 165 characters in your SMS. Then cost of 2 SMS will be deducted from your Fast2SMS wallet. After the confirmation, a message will come on your screen that the SMS is sent successfully. As soon as the receiver clicks on ‘Get File’, it turns green and begins to download. They can click on OPEN to view the file. Note : If you are sending Multimedia SMS from promotional route after 9 PM, then a warning message will be displayed. As per TRAI rules, promotional SMS is not allowed from 9 PM to 9 AM. 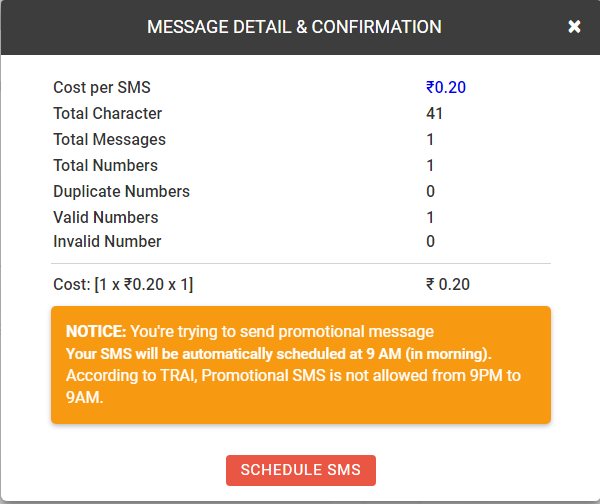 Your SMS will be automatically scheduled for the next day at 9 AM. The warning message will be displayed as shown in the image below. 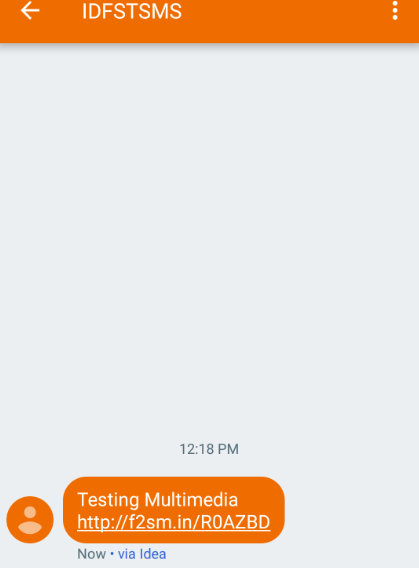 You can find out whether the receiver of the SMS has viewed the attachment or not. To check this go to the Delivery Report Section. Click on the message. Once you click on it the following window will appear. Below it, you will find the details when you scroll down that window. In the image below, receiver’s number is given. In the URL status, it is coming Not Visited which means that they have not yet seen the attachment link. 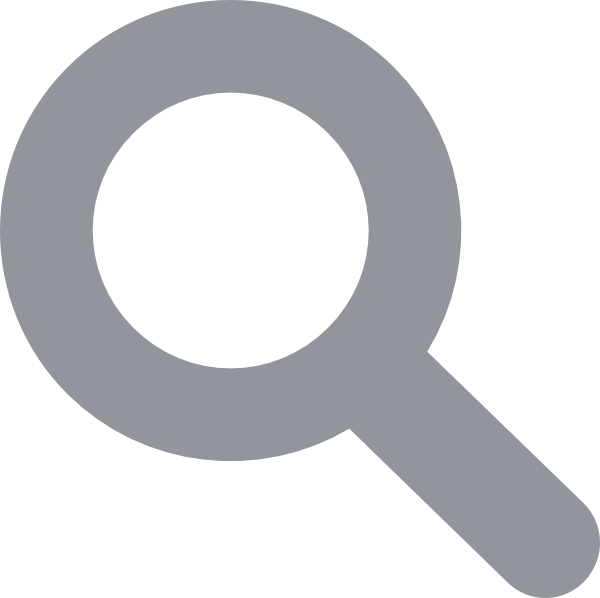 If that person sees the attachment then the URL status is displayed as Visited and the Visited Time will also be mentioned. So from checking the Delivery Details, a person will get to know whether his SMS is read or not and at what time it is read. You can even schedule the SMS to be sent at a later date. To schedule the SMS, click on SCHEDULE, then select the Date. In multimedia SMS, you cannot schedule for multiple dates. You can only schedule for one date at a time. When you click on the Schedule button, following dialog box appears. Click on Confirm. As soon as you press confirm, the following message will appear on your screen. 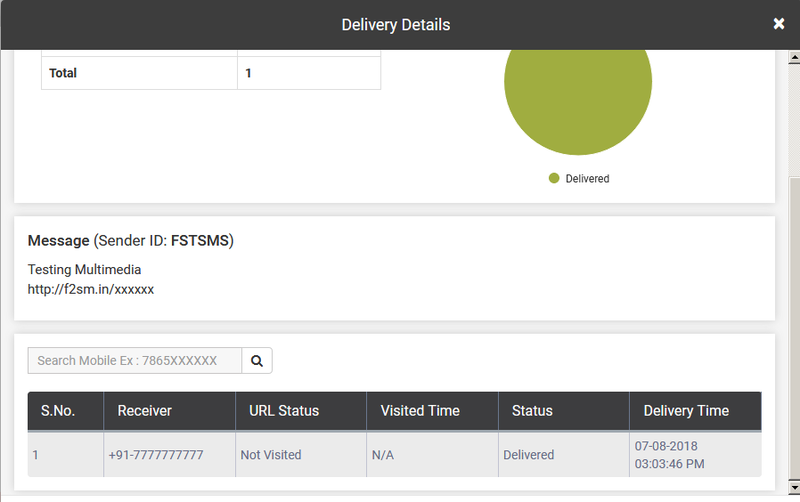 If you want to cancel the scheduled SMS you can do it by going to the delivery report section and then select the schedule tab and then click on the Cancel SMS option. Money charged for that SMS will be refunded in your Fast2SMS wallet. It is described in the image below. Select Yes Cancel to cancel the schedule SMS. 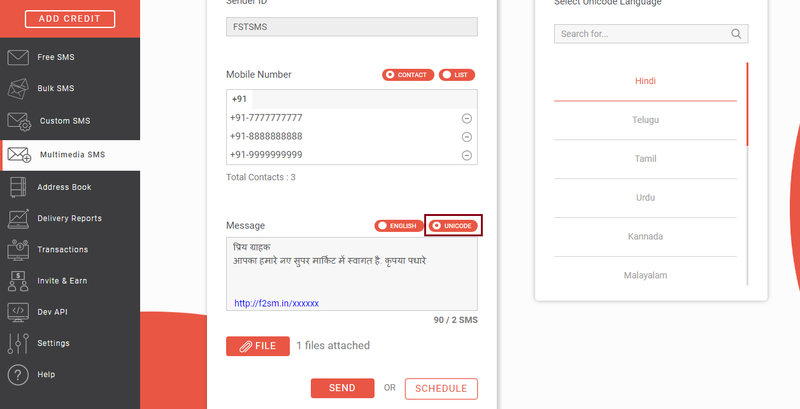 A dialog box will appear stating that schedule bulk SMS has been canceled successfully. Note : Flash SMS does not work in Multimedia SMS section. If you are scheduling Multimedia SMS from promotional route after 9 PM, then an alert message will be displayed as shown in the below image. 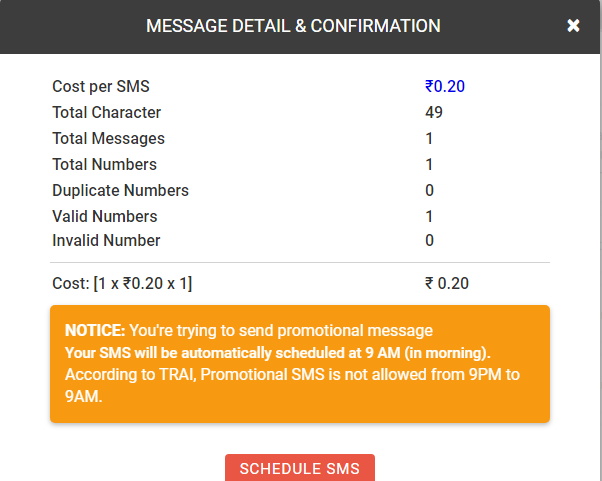 As per TRAI rules, you cannot send promotional SMS from 9 PM to 9 AM. And if you are scheduling the SMS, it will be automatically delivered at 9 AM(next morning). 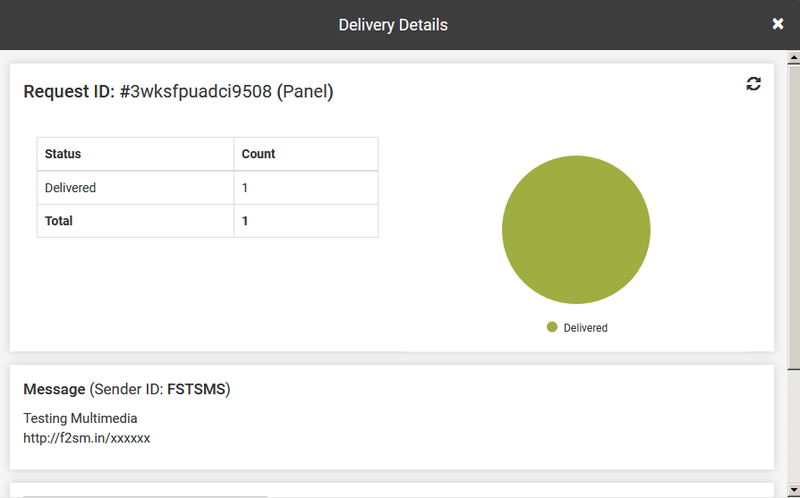 You can cancel the Schedule SMS if you wish to do so by visiting the Delivery Report section and select the schedule tab. After that click on the cancel SMS option to cancel the scheduled SMS. And if you press Schedule SMS then SMS will get delivered the next day at 9 AM.